Before there was a Bangkok, indeed before there was a modern Thailand, the Kingdom of Ayutthaya reigned for centuries in this region, a dominant and trade-friendly empire. At its height in the early 1700s, the capital of Ayutthaya numbered a million inhabitants, and was described as the "Venice of the East". The kingdom met its demise in the 18th century, as the prosperous state found itself in the crosshairs of the neighboring Burmese war machine. In 1767, after 14 months of siege that endured through the entire monsoon season, the capital fell and was utterly razed by the Burmese invaders, devastating the city and leaving nothing for its displaced people to return to. In the ensuing Siamese civil war, a new capital was established to the south in Thonburi, now absorbed into modern-day Bangkok. 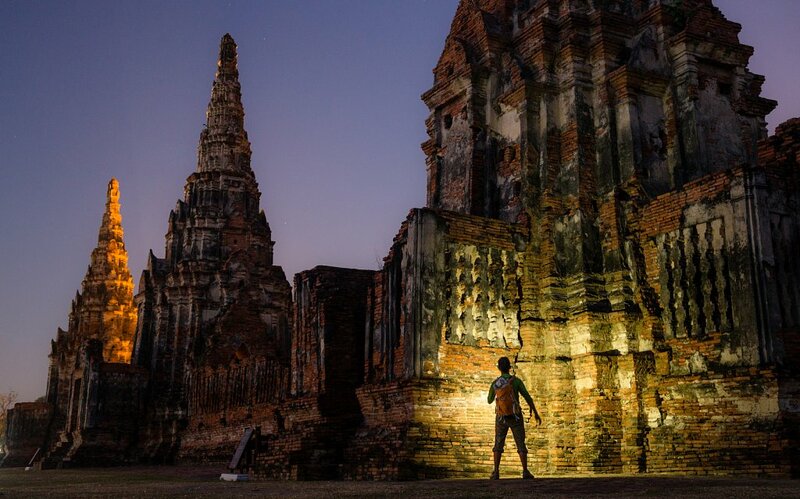 Excavation and restoration of the ruins began in the 1970s, and today make up the Ayutthaya Historical Park, a UNESCO World Heritage site. A neighboring longtail on my ride out from the Railay peninsula. 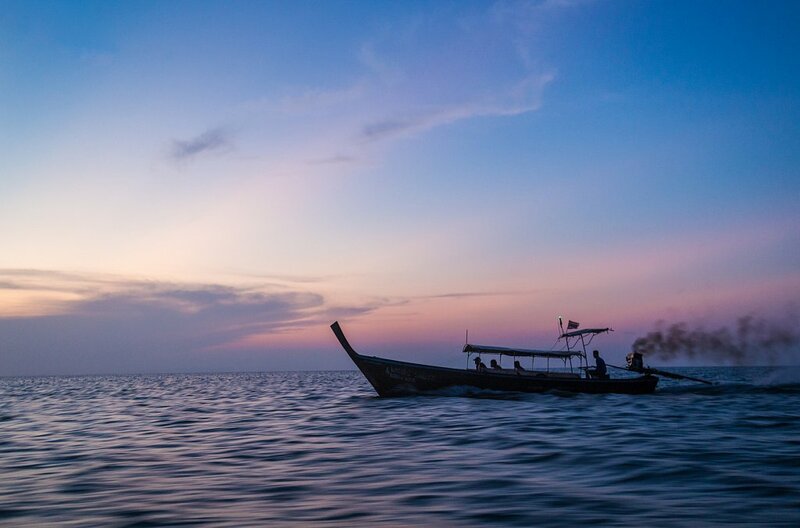 These boats were ubiquitous transportation around the coast of the Andaman Sea.